We are a family owned specialist live-in home care provider. Based in the Chiltern Hills in Buckinghamshire providing services across the South East of England. With over 30 years’ experience of delivering personalised care to people in their own homes, we know that providing the very best care is about finding the right people who genuinely care about helping and getting things right for you. The training and support we provide for our care staff means that in turn they provide the very best level of care to our clients. We are proud to create an environment where our carers are valued and rewarded for the work they do. Our fully managed service means that you don’t need to worry about a thing, we will take care of every aspect your care, including regular reviews, co-ordinating medical appointments and making sure that your care team are supported to do a fantastic job. As a growing business we are always looking for new brilliant individuals to join our team. We pride ourselves from offering a support and pay package better than competitors and in return we only employ people who truly care. Being a Live-in Carer is a very special career. It will involve living away from your own home for short periods, but many of our carers alternate live-in care with stays with family or friends. Some carers come from overseas, combining their work with travelling. 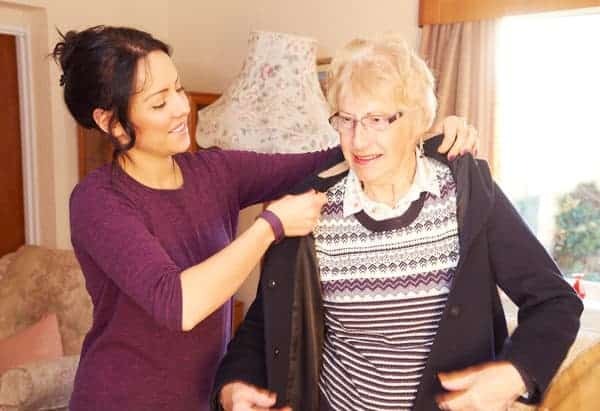 There are many advantages to being a Live-in Carer, not only do you get to care for some lovely people who have amazing stories to tell but with your accommodation and food paid for most of the year, it will leave you more of your pay left over to spend and save. If you are the right person, compassionate and kind then joining our team is easy and we will support you with regular visits and communication. Do you need to arrange care for a loved one? Contact Ashridge today!